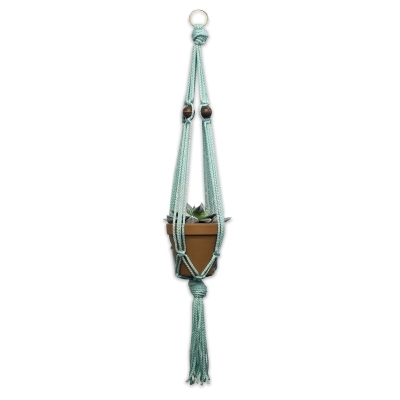 Create a cute, classic macrame plant hanger with these kits from Pepperell Crafts. With easy-to-follow instructions and high-end components, these DIY kits make macrame fun. Choose from three styles. 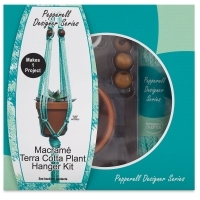 This kit includes a terra-cotta planter, 56 ft (17 m) of Mint polypropylene cord, four wooden beads, a metal-plated ring, a vinyl-coated ceiling hook, and instructions. 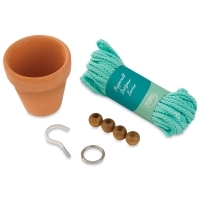 ® Pepperell Crafts is a registered trademark.